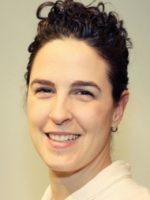 Katharine has been involved with the Canadian College of Osteopathy (CCO) since beginning her career in the field: she has worked as a teaching assistant there and acted as a member of its academic council since 2005; she has worked as a clinic supervisor at the CCO since 2009; and as a thesis supervisor since 2006. Katharine’s primary specializations include concussions and minor head injuries, headaches and migraines, as well as shoulder, wrist, hand, and foot pain. Katharine is an avid traveler, cyclist, and scuba diver.